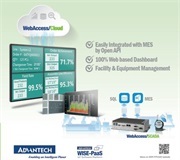 Advantech, a global leader of intelligent systems, is announcing the launch of WebAccess 8.3, which is planned for release in February 2018. 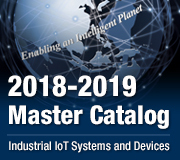 This upgrade has been designed specifically to improve product performance and user satisfaction with the introduction of the new WebAccess Dashboard 2.0, a new mobile app, and other added features including improved MQTT protocol and driver support. The new WebAccess/Dashboard 2.0 allows users to access external data via a third-party database or web service, thus expanding their data resources. It is compatible with standard SQL database management systems (e.g., SQL Server, MySQL, Oracle) and has web service interface for data acquisition from other software systems. It uses web services based on Node.js® runtime as the underlying data transport layer for real-time data transfer. Additionally, the original system functions have been enhanced and the new version allows users to customize widgets and dashboard. The new version supports multiple DSNs, giving access to multiple databases, and data are now divided into monthly tables to improve system performance for data access, report generation, and data queries. The new mobile app provides an innovative interface for visualizing usage information. With Node.js and support for iOS 9 and Android 4.4 and above, data can be transferred to phones in real time. 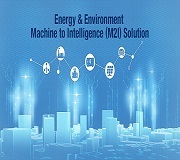 The app can connect to a WebAccess server so that users can perform remote monitoring of control points and alarms while visualizing trends and communication statuses via the dashboard. Most importantly, the app supports push notifications for mobile devices. Among other added features, the MQTT protocol in WebAccess/SCADA 8.3 has been improved to support TCP, meaning that the system is now compatible with Windows 7. Security has also been improved with enhanced user management, giving greater control over user administration rights for alarm summaries, alarm logs, alarm groups, action logs, and so on. Privilege management for Web services further gives access control even over the client’s own programming. Electronic signature compliance with 21 CFR Part 11 has also been added to log all actions during project configuration and runtime. The new version also comes with a more user-friendly installation package and a soft license mechanism so that the software can be run on virtual machine systems. New drivers have also been added for popular PLCs (e.g., Keyence PLC driver enhancement , Mitsubishi FX5U PLC driver) and video management integration (e.g., Dahua DH-SD-6A9226F-HNI video driver, Hikvision video driver). 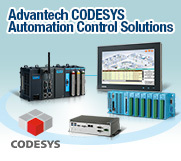 WebAccess/SCADA V8.3 is available for order now. 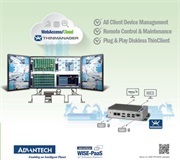 For more information regarding WebAccess/SCADA V8.3 or other Advantech products and services, please contact your local sales support team or visit our website at www.advantech.com.